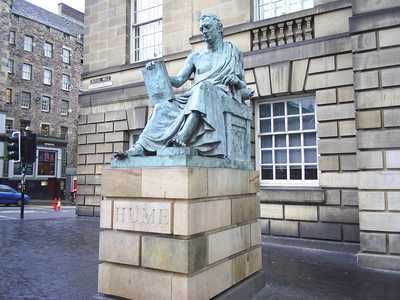 As we move down into the High Street, you will see the statue of one of the world's greatest philosophers, Edinburgh resident, David Hume (1711 to 1776). 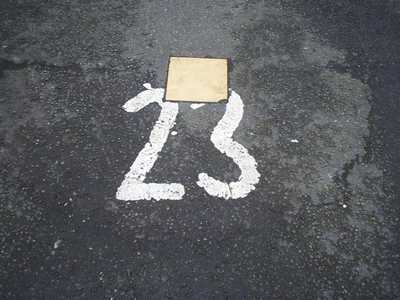 This is located outside the High Court building. 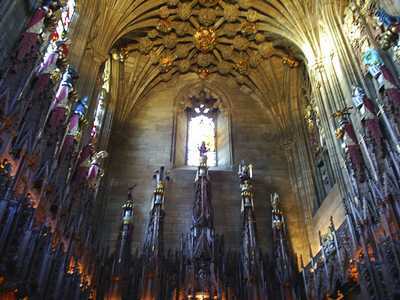 St Giles (patron saint of cripples, lepers and nursing mothers) is the patron saint of Edinburgh. 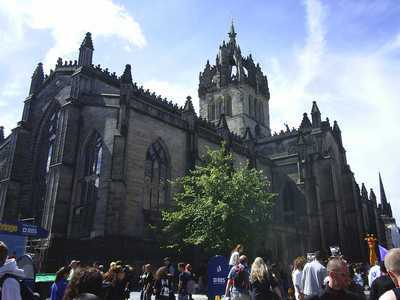 The church's crowned spire makes it instantly recognisable on the Edinburgh skyline. 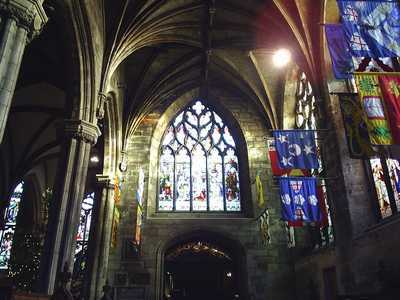 Within are exquisite stained glass windows, a variety of monuments and memorials and the Chapel of the Order of the Thistle, the most famous Scottish order of chivalry, established by James VI in 1687. 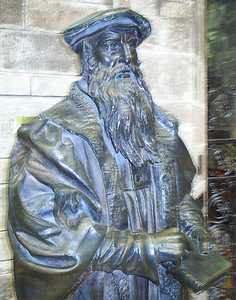 Often regarded as the mother church for Presbyterianism, St Giles was the scene of many fiery sermons from the great reformation preacher, John Knox, whose statue can be seen within the church and whose grave lies in the former churchyard (now paved and tarmaced over and used as a car park) to the rear of the building. 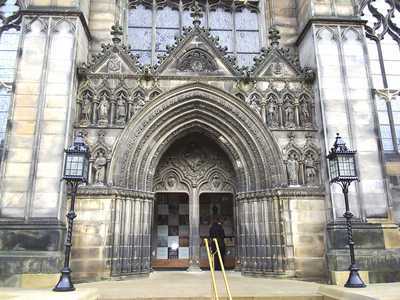 Although earlier churches are thought to have existed on the site, the building, which was originally dedicated in 1243, has played an important role in Scotland's history down the centuries. 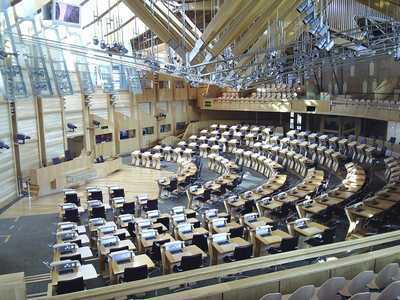 The Scottish Parliament moved from the Great Hall at Edinburgh Castle into new purpose built accommodation in 1639. 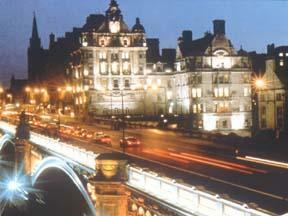 That accommodation was Parliament Hall, which is now part of Parliament House. 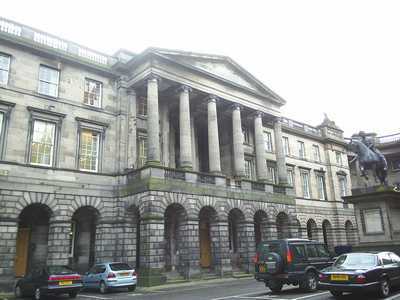 The Union of the Scottish and English Parliaments in 1707 made the building redundant and it is now houses the Scottish Supreme Courts (High Court of Justiciary and the Court of Session). On the High Street, just next to the west entrance to St Giles, you will notice this heart shaped mosaic on the pavement. This represents the Heart of Midlothian and marks the entrance to the old Tollbooth (built around the beginning of the 1400s and demolished in 1817) which served as Edinburgh's prison, court and municipal offices. 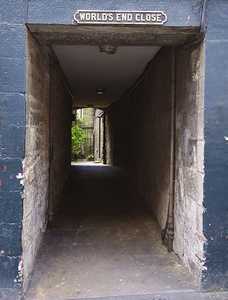 Over the years many public executions were held here, including that of William Brodie. 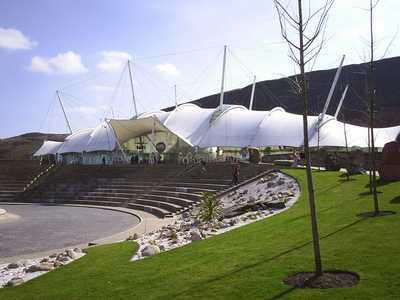 It is also the site of the infamous Porteous Riot. 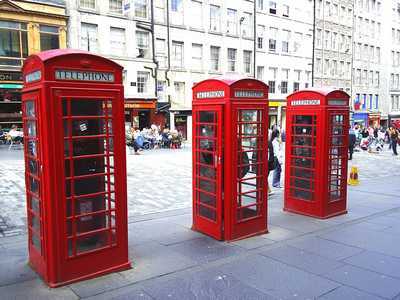 Citizen's of Edinburgh continue to this day to mark their contempt for the old prison and public authority by spitting into the Heart of Midlothian! To the east side of St Giles stands the Mercat Cross. This is not the original, but a replacement built in the late 1800s. 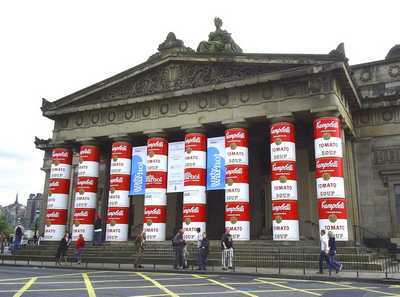 It is based on and incorporates part of the original which was removed around the mid 1700s. 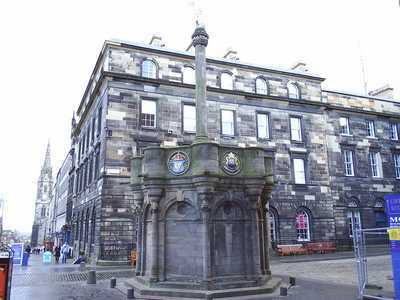 The Mercat Cross was the traditional site for formal public proclamations and other announcements in the town and is still used for that purpose to this day. It was also hitherto used as the site for public executions. 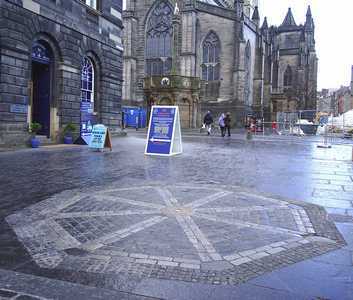 The site of the original Mercat Cross can be seen marked on the ground a little further down the High Street, as shown on the photograph below. 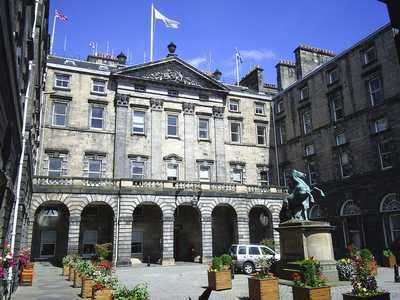 The City of Edinburgh Council City Chambers are located opposite the Mercat Cross. 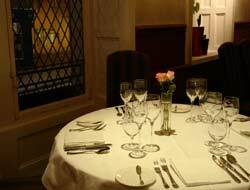 The building dates from around 1760 when it was originally conceived as premises for city merchants. The City Council moved into the building in the early 1800s following the demolition of the Old Tollbooth. In the courtyard stands a statue of Alexander the Great with his horse Bucephalus. Many of the City Council's meetings are open to the public. 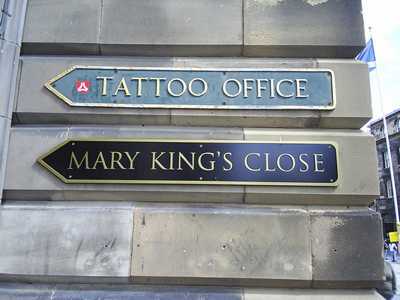 Mary King's close is an Old Town close that was rediscovered after hundreds of years lying beneath the City Chambers building. Some say that the inhabitants of the close were bricked in while still alive in order to prevent the spread of the plague. Whether or not this is true is unclear, but what is known for certain is that the plague visited a terrible toll of death and suffering on the inhabitants of the Old Town and that very strict measures were put in place to try to contain outbreaks. There were also severe penalties for anyone who failed to comply and thereby risked exposing others to the disease. Nowadays tours are available to take visitors down into the close and this gives an insight into the harsh and cramped existence of those who once lived there. 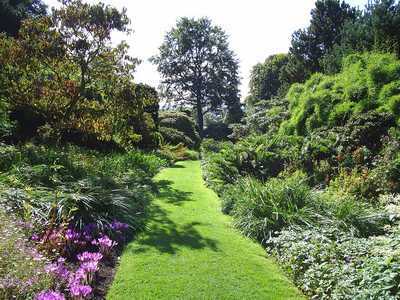 Unnervingly, many participants on such tours claim to have experienced supernatural phenomena, so be warned! 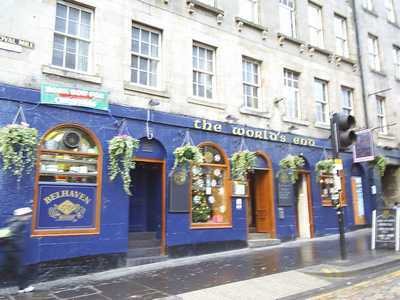 Look out for this plaque outside one of the restaurants a bit further down from the City Chambers. 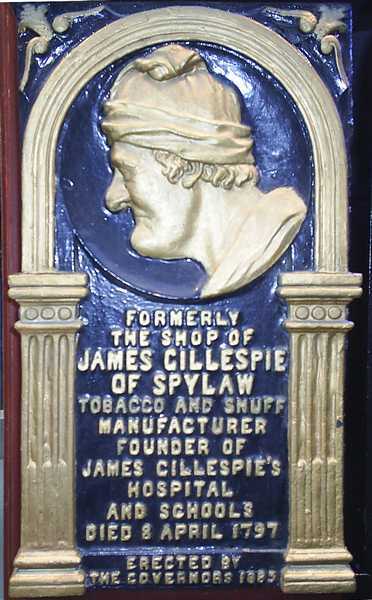 James Gillespie (died 1797) was a wealthy snuff and tobacco manufacturer who, although living a very frugal life, left a sizeable legacy for the construction of a local hospital and school. A school bearing his name still exists in the city to this day. 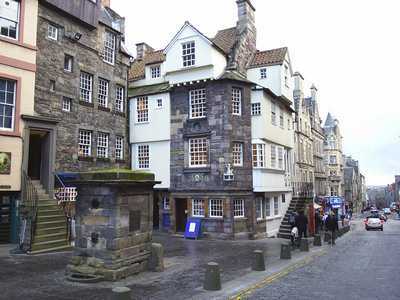 This 15th century house is reputed to have been the one time home of the firey reformation preacher, John Knox. Note to the left of the photograph, the steep staircase which leads up to one of the town houses. Also, that the same stairs lead down to one of the Old Town's wellheads (or cisterns), where inhabitants could draw water. These wellheads became important meeting points within the town and long queues often formed. In the early hours of 24 November 1861, 35 people were killed when a five storey tenement, whose timber supports had become rotten, collapsed almost vertically at this location. In the frenzy of trying to rescue those trapped, the workers heard the repeated cry of a young boy from under the rubble saying "Heave awa men, I'm no deid yet." The youngster was called Joseph McIver and thankfully he was rescued without major injury. 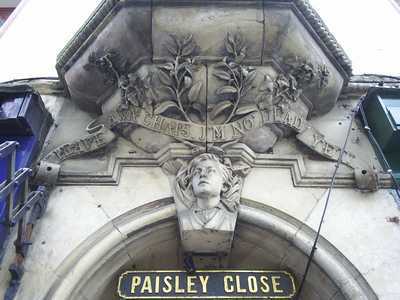 When a new building was eventually constructed on the site (Paisley Close), Joseph's sculpture was incorporated over the entrance along with the (more eloquent) words "Heave awa' chaps, I'm no' dead yet" as shown in the picture above. 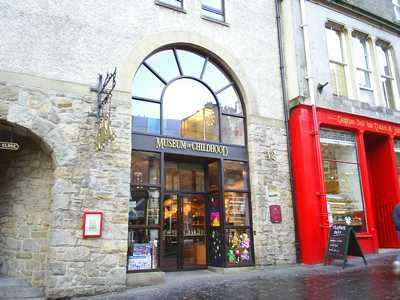 With free admission, a visit to the world famous Museum of Childhood is a great way to pass an hour or two. Learn about childhood through the ages and see toys from different parts of the world. It's a favourite with both kids and adults alike. 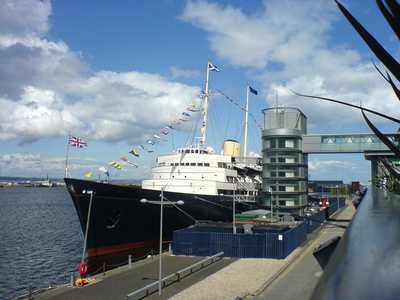 The area inside the Netherbow gateway came to be known as the "World's End". 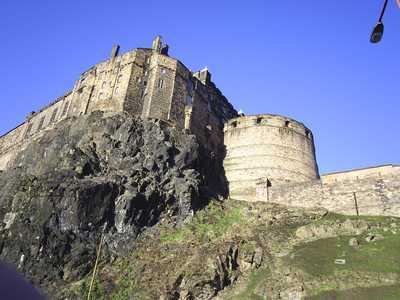 As far as the townspeople of Edinburgh were concerned, it was quite literally where their world ended! 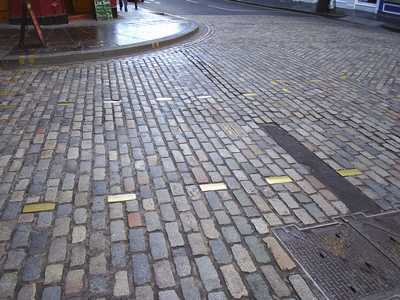 The outline of the Netherbow Port is marked on the road outside the World's End pub. 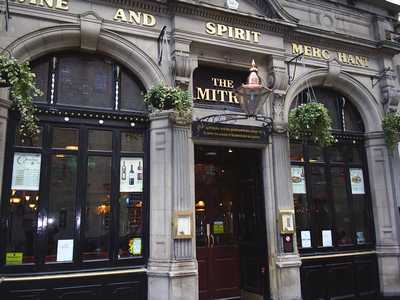 After the Netherbow Port was demolished in1764, very little of the building survived. 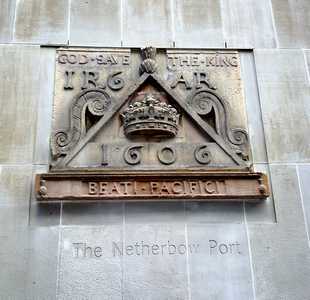 However, the Netherbow Bell, which was sounded as prisoners went to their deaths, and the Port's plaque, which stood above the central archway and above which the heads of the executed were impaled, were both recovered and can be both be seen at the nearby Netherbow Centre. The plaque was made to honour James VI's survival of the Gunpowder Plot in 1606 and his Queen, Ann of Denmark. 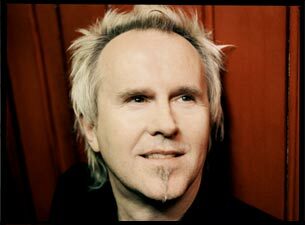 It also incorporates James' favourite motto "beati pacifici" meaning "blessed are the peacemakers".